Agricultural markets are caught in a whirlwind of trade disruptions. Direct market shocks will lead to ripple effects likely to affect most agricultural markets worldwide in the coming months. It’s important to have a global perspective of major agricultural markets in order to anticipate how markets may be impacted. The following global market profiles are based on current USDA estimates. The European Union is the largest wheat producer with 20.0 percent of total world wheat production, followed by China (17.1 percent); India (13.0 percent); Russia (11.2 percent) and the U.S. (6.2 percent). Russia accounts for 22.5 percent of global wheat exports, ahead of the U.S. with 13.5 percent; European Union (12.8 percent); Canada (12.5 percent) and the Ukraine (9.6 percent). Wheat exports are widespread; the biggest wheat importing countries are Brazil, the European Union, U.S. and China each accounting for two to four percent of global wheat imports. Major wheat importing regions include North Africa (15.1 percent); Southeast Asia (14.6 percent); and the Middle East (10.1 percent). The U.S. is the largest corn producer (35.9 percent) globally, followed by China (20.9 percent); Brazil (8.1 percent); European Union (6.0 percent); Argentina (3.2 percent) and Mexico (2.6 percent). The U.S. exports 40.5 percent of total corn exports ahead of Brazil (17.3 percent); Argentina (15.9 percent) and the Ukraine (13.0 percent). The European Union (12.3 percent) and Mexico (11.1 percent) are the two largest corm importers followed by Japan (10.4 percent); South Korea (6.7 percent) and Egypt (6.4 percent). The U.S. and Brazil dominate global soybean production with each producing 35.5 percent of global production followed by Argentina (11.0 percent); China (4.2 percent) and Paraguay (3.0 percent). Brazil exports 49.0 percent of total soybean exports, followed the U.S. (37.3 percent), Paraguay (4.1 percent); and Argentina (2.0 percent). China accounts for a whopping 62.9 percent of global soybean imports, followed by the European Union (9.1 percent) as well as Mexico (3.0 percent); Argentina (2.4 percent) and Japan (2.1 percent). China produces nearly half of the world’s pork (48.2 percent), followed by the European Union (21.2 percent); U.S. (10.7 percent); Brazil (3.2 percent); and Russia (2.7 percent). The European Union exports 34.8 percent of global pork exports, with the U.S. adding another 32.1 percent plus Canada (16.2 percent); Brazil (7.5 percent) and China (2.7 percent). 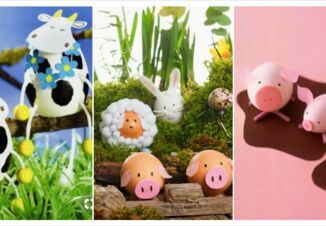 China is the largest pork importer (19.2 percent), along with Japan (18.9 percent); Mexico (15.1 percent); South Korea (8.1 percent) and Hong Kong (6.3 percent). 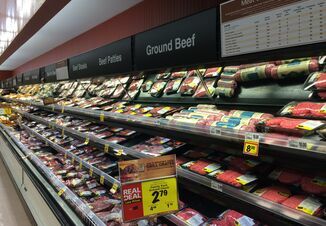 The U.S. is the biggest beef producer with 20.0 percent of global beef production, ahead of Brazil (15.7 percent); European Union (12.5 percent); China (11.6 percent); India (6.8 percent); Argentina (4.6 percent); Australia (3.6 percent) with smaller amounts produced in Mexico, Pakistan and Turkey. Brazil is the largest beef exporter at 19.3 percent of global exports, followed closely by India (18.1 percent) as well as Australia (15.4 percent); U.S. (13.1 percent); New Zealand (5.3 percent) and Canada (4.6 percent). Major beef importers include the U.S. with 16.6 percent of total world beef imports, along with China (14.4 percent); Japan (10.0 percent); Hong Kong (7.0 percent); South Korea (6.7 percent) and Russia (4.8 percent). The U.S. produces 20.6 percent of total global broiler meat production along with Brazil (14.5 percent); European Union (13.0 percent); China (12.7 percent); India (5.0 percent) and Russia (4.3 percent). Brazil is the largest global broiler meat exporter accounting for 34.4 percent of the total, ahead of the U.S. (28.0 percent); European Union (11.5 percent); Thailand (7.2 percent); China (3.9 percent) and Turkey (3.8 percent). The largest broiler meat importing countries are Japan (12.8 percent); Mexico (9.1 percent); European Union 7.9 percent); Iraq (7.6 percent); South Africa (5.9 percent) and Saudi Arabia (5.0 percent). With many changes hitting agricultural markets simultaneously it is very difficult to sort out how markets may be impacted and for how long. In some cases, global market shares may be affected in the short run and possibly long term as well.